Are you trying to color-match artwork from another application? Well now there's no more guessing about what color "Mint Cream" is in the Page Designer Color Palette. 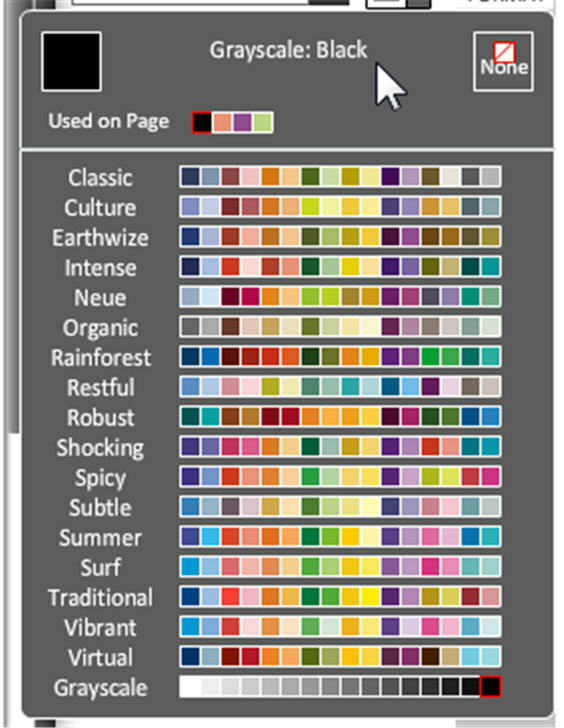 We've cross referenced each color into their web safe Hexadecimal color. Hex is that funky #C9DCA7 you see sometimes when your pretty emails appears in plain text! If you need a different color type, such as Pantone or RGB, for a particular desktop software you're working with, you can use the color conversion between Hex and the other color type. You can usually type the Hex color into your Google search, but there are also many online converters for this purpose if you'll be doing a lot. Below are the list of colors offered by School Annual Online and the HEX Code for each. For a quick way to find your color on this list press Ctrl + F and search for all or part of the color name.